Happy weekend everyone, Danesa here! Nicole has a brand new artTherapy No4 collection out now. You will continue to be amazed how she creates so much realistic textures for us. The vibrant colors are really fun and one of my favorite things is her MixedMedia Paper-set. Wow! You can find artTherapy No4, at her Oscraps store now. 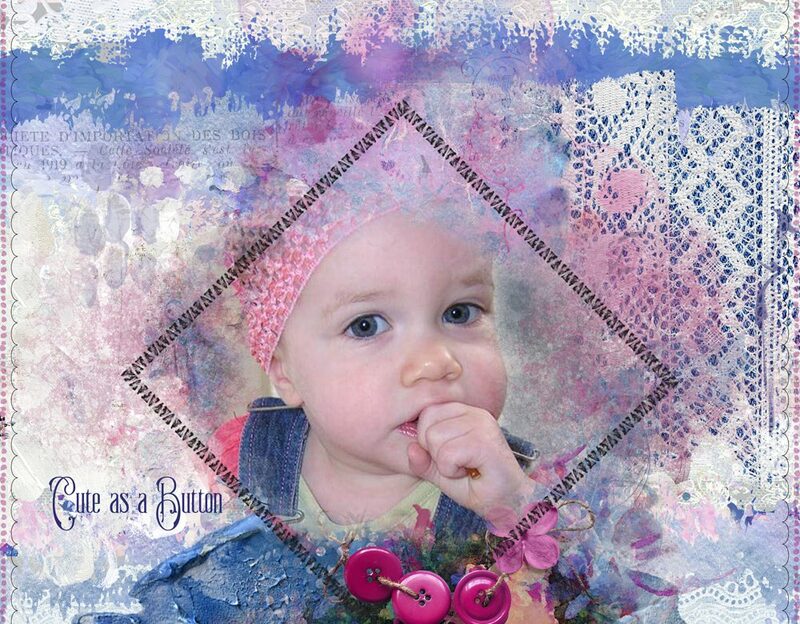 My layout features my great-niece, Ada, when she was little. She was and IS such a cutie and its always fun to create using her sweet face. You can see this and other layouts NBK Design Gallery.